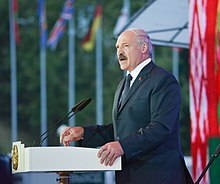 Alexander Grigoryevich Lukashenko is a Belarusian politician serving as President of Belarus since the office was created on 20 July 1994. Before launching his political career, Lukashenko worked as director of a collective farm (kolkhoz) and spent time with the Soviet Border Troops and the Soviet Army. He was the only deputy to vote against the independence of Belarus from the Soviet Union. 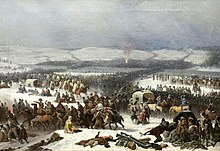 My Biełarusy is the unofficial title of the national anthem of Belarus and the first line of its lyrics. 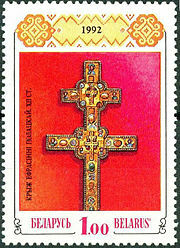 It is officially titled as the "State Anthem of the Republic of Belarus". 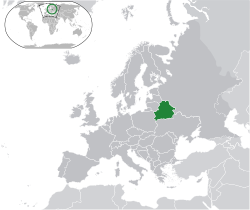 The anthem was originally written and adopted in 1955 for use in the Byelorussian Soviet Socialist Republic. The music of the Byelorussian SSR anthem was composed by Niescier Sakałoŭski and the lyrics were written by Mikhas Klimkovich. After the dissolution of the Soviet Union, the music composed by Sakałoŭski was kept and the lyrics were discarded. New lyrics, which were written by Klimkovich and Uladzimir Karyzny, were adopted by a presidential decree issued on 2 July 2002. The lyrics of the anthem now sing of a friendly Belarus, honoring past military battles and looking forward to the future. 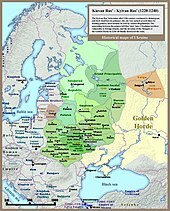 The music was kept due to the historical connections it has to Belarus. 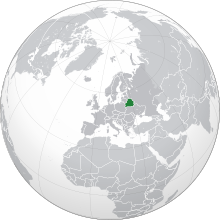 The Union State, also referred to as the Union State of Russia and Belarus, is a supranational union consisting of the Russian Federation and the Republic of Belarus. 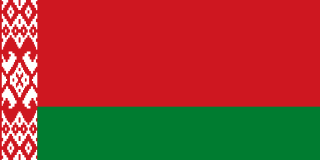 The Belarusian Republican Youth Union is a youth organization in Belarus. 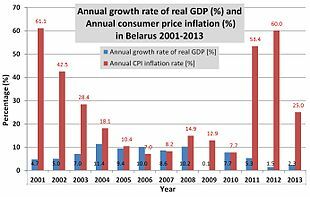 Its goals are to promote patriotism and to instill moral values into the youth of Belarus, using activities such as camping, sporting events and visiting memorials. The organization was created after a merger of other youth groups in 2002 and is the successor of the Leninist Communist Youth League of the Byelorussian SSR. 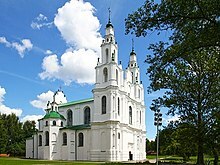 The BRSM is the largest youth group in Belarus and is supported by the Belarusian government. Some people have accused the group of using methods of coercion and empty promises in order to recruit new members and of being used as propaganda for the government of Alexander Lukashenko. Andréi Olégovich Sánnikov is a Belarusian politician and activist. In the early 1990s, he headed the Belarusian delegation on Nuclear and Conventional Weapons Armament Negotiations, also serving as the Belarusian diplomat to Switzerland. From 1995 to 1996, he served as Deputy Foreign Minister of Belarus, resigning as a form of political protest. He co-founded the civil action Charter 97, and was awarded the Bruno Kreisky Prize in 2005. Mikhail Vladimirovich Myasnikovich is a Belarusian politician who was Prime Minister of Belarus from 2010 to 2014.